If you have any interest in the whole “Disclosure” process that is “supposedly” going on then you have certainly heard of Steven Greer and his ” Disclosure Project ” . Steven comes from a family that was involved in the space program during the Apollo missions so he definitely has some connections in the government , military and intelligence community. What we are talking about here for those that may not be familiar with the subject is the disclosure to the public that there are extraterrestrials among us. And us Humans have been in contact with many groups or races of beings for a very long time and the military and governments around the world have been hiding this fact from the general public becasue they do not want any competition basically. For whatever reason here we are its 2011 and the human race is still asking the question are we alone. Really , come on I mean how many more sci fi movies must we endure , we get it already , come on I want a spaceship already, I want to travel through star gates , but I’m still stuck with a car that burns fossil fuels. 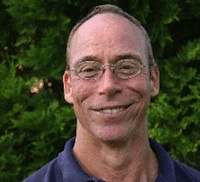 So Steven Greer is doing his best to work with the people in the know to start an official process know as the disclosure project and I think its a wonderful endeavor and have been following him for a few years , but still nothing is happening from a formal announcement perspective. My take on the disclosure thing is that for me its a personal process , to be honest I don’t’ expect any government leader to come out and announce that we are “Not ” alone. In fact from what I can tell about the species know as politicians is that they love power and adulation and I can’t think of any reason why they would want to share the world stage with any other species. That being said I think what Steven is doing is great because at least he’s trying to get the conversation going and I like his over all perspective on most everything , meaning he sees the big picture and does get to caught up in the whole polarizing concept of good Alien versus Bad Alien. Which is really quite amusing to me considering that we are all sentient consciousness taking on the forms of various beings be it human or otherwise , so calling one Alien” over another is pretty limited thinking. Check out the books below by Steven Greer ! Here is one of my favorite Steven Greer interviews with Project Camelot that really highlights these different views that are out there in the Alternative Media Community. Here he sits between Kerry and Bill and keeps his cool while they debate the concept of the service to self dudes versus the all loving ones. Very Entertaining !